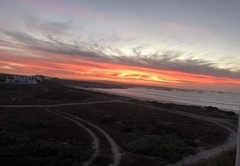 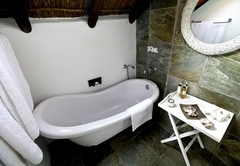 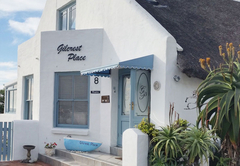 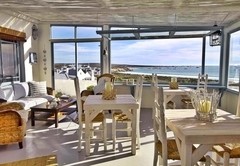 Gilcrest Place is one of the Paternoster guest houses and provides accommodation in 3 guest rooms for tourists visiting the Cape West Coast region. 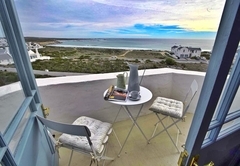 This charming guesthouse is situated 200m from the beach in the quaint West Coast fishing village of Paternoster, an easy 90 minute drive from Cape Town. 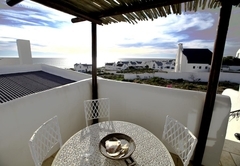 Uninterrupted views of the ocean can be enjoyed from all guest suites, as well as from the breakfast room and lounge area. 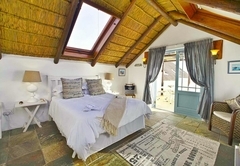 The accent is on 'relax and unwind' and a welcoming and laid back atmosphere is created by the light, spacious, airy rooms offering guests all modern amenities. 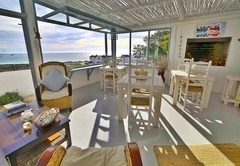 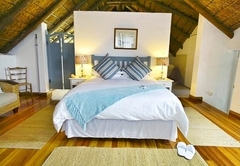 Upstairs spacious room with own entrance, private balcony and magnificent sea views. 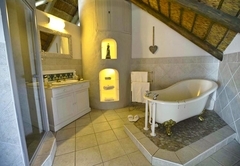 Queen size bed, DStv, mini-bar fridge, tea and coffee station, hairdryer, walk in cupboard, large bathroom with bath, shower and complimentary toiletries and slippers. 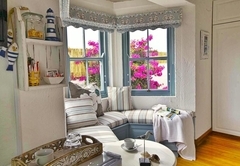 Downstairs room with own entrance and sea views. 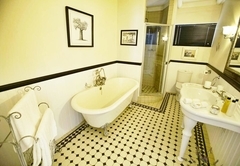 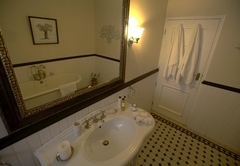 Queen size bed, charming Victorian bathroom with bath, shower and complimentary toiletries, DStv, mini bar fridge, hairdryer and slippers. 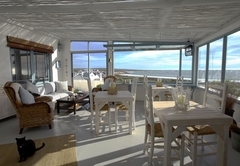 Upstairs room with own entrance, private balcony and sea views. 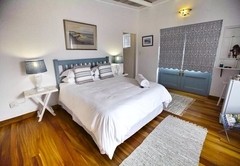 Queen size bed, DStv, mini bar fridge, tea and coffee station, hairdryer, slippers, bathroom with shower and complimentary toiletries. 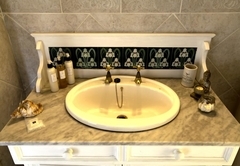 Response timeGilcrest Place typically responds to requests in 5-10 minutes.